Mumbai–The Indian rupee during early morning trade on Wednesday broke the 65-mark and touched a 17-month high since October 2015. 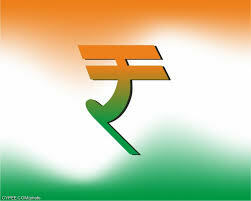 At around 2.00 p.m., the rupee was trading at the 64.90 level against a US dollar. The rupee on Monday closed at 65.04 to a greenback. The currency market was closed on Tuesday on account of Gudi Padwa. “Rupee appreciation to a 17-month high is mainly attributed to the government’s stance to contain fiscal deficit and RBI’s change in monetary policy stance from accommodative to neutral,” said Rakesh Tarway, Head of Research, Reliance Securities. Tarway added that companies which have taken dollar-denominated loans through the external commercial borrowing (ECB) route will be benefitted as rupee appreciation will aid them to save on interest and repayments outgo to the extent.